Should My Cat Be Spayed or Neutered? The resounding answer to this question is “Yes!” Unless you breed and show cats for a living, there is no reason to avoid spaying or neutering your feline friend. It is safe to have this procedure performed on young kittens, though it can be readily done on a healthy cat of any age. Cats that remain intact (not spayed or neutered) can contribute significantly to the tremendous feline overpopulation problem that exists in Texas and in the U.S. Cats may start reproducing as early as six months of age, and they can have three litters per year. If each of those kittens grows up to reproduce, the cat population increases rapidly. There are also public health concerns to be taken into consideration. The high number of unwanted, abandoned and feral cats can play a role in the spread of many zoonotic diseases (diseases spread by animals to humans), which include roundworms, hookworms, rabies and toxoplasmosis, to name a few. These cats may utilize uncovered children’s sandboxes as litter boxes, which is unsanitary and exposes our kids to disease, or indiscriminately hunt native wildlife. There are several reasons to neuter your male cat. The odor of a tom cat (an unaltered adult male cat) is not one you want emanating from your litter box. They are notorious for spraying urine on vertical surfaces such as walls and furniture. Unaltered male cats will also beg to go outside and frequently escape through a door just as you are walking through. They are on the prowl for an unspayed female (known as a queen) with which to breed. They are also much more likely to get into fights with other cats, leading to the spread of feline immunodeficiency virus (FIV) and feline leukemia (FeLV or FeLK). Both of these diseases suppress the immune system and can predispose your cat to other infections and health problems. There is not a cure for either disease, and they can increase your cat’s risk of death, cutting his life short. By neutering your male cat, you also remove his risk for testicular cancer. 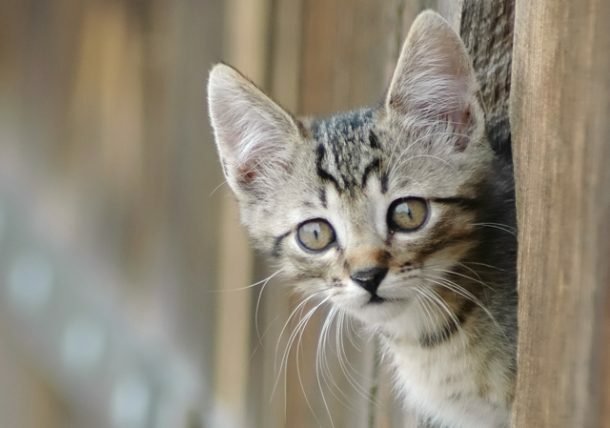 There have been concerns that neutering cats may put them at higher risk for urinary tract problems and lead to a male cat becoming “blocked” (unable to urinate). Research has shown this not to be the case. The diameter of the urethra is the same in both intact and neutered male cats, so there should not be any concerns that neutering will lead to urinary issues down the road. Finally, by neutering your cat, you decrease his desire to roam. Neutered cats have been shown to be more affectionate and less aggressive. Female cats should also be spayed for several reasons. A cat in heat is not a pretty sight. She will yowl and scream and thrash around. Many an unsuspecting owner has presented an unspayed female cat to a veterinarian for an emergency visit. The owner thinks the queen is either having a seizure or in dire pain. Cats will continuously cycle through their heat until they are bred or spayed, so your female cat will continue to express these frightening behaviors until that happens. Unspayed females, like their unneutered counterparts, will also try to sneak out of the house in search of a male cat with whom to breed. They are also at higher risk for FIV and FeLV. Spayed female cats are much happier being homebodies and enjoying the attention they receive by their human family members. Spaying your cat also removes her risk of ovarian and uterine cancer and lessens her risk of mammary cancer and pyometra (a life-threatening uterine infection). As always, you should discuss spay/neuter or any other surgical procedures with your veterinarian to decide what is best for you, your family and your cat. Lori Teller, DVM is a graduate of Texas A&M College of Veterinary Medicine and lives in Houston, Texas. She practices at Meyerland Animal Clinic. Are You a Pet Health Guru? Submit your pet photos to our TexVetPet Gallery!